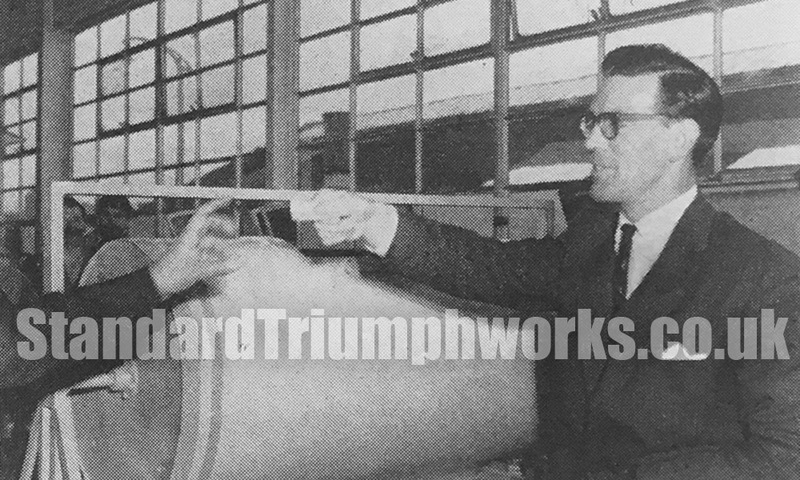 George Turnbull, Standard Triumph Director pulls out the winning ticket No. 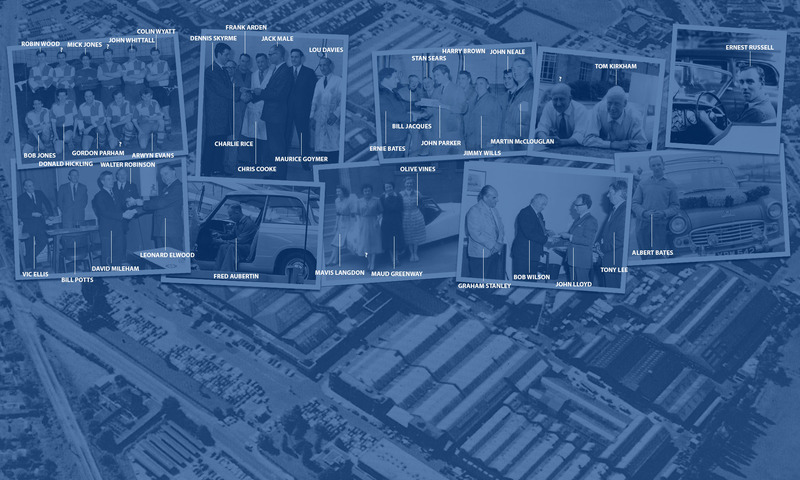 11478 to win a Triumph Herald donated to the Standard Motors Branch of the British Legion. The winner was Mr B.G. Meeking, of Wheatley Street, Coventry who works at the Assembly Shop at Massey Ferguson. 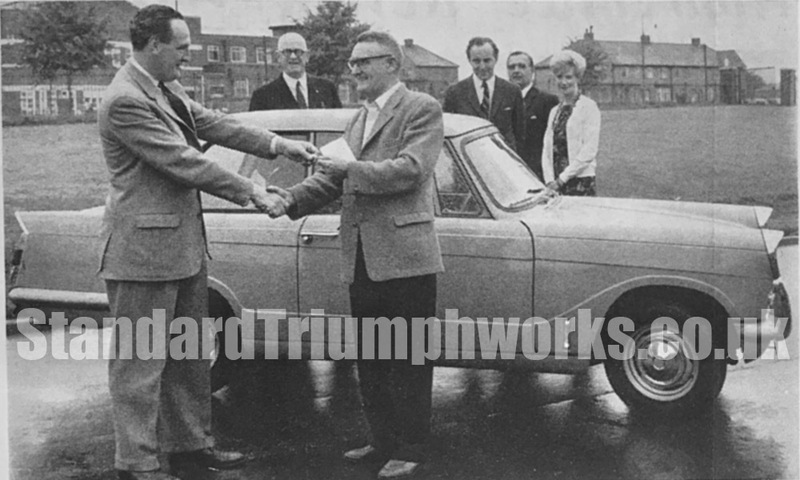 Mr Meeking can be seen collecting his Triumph Herald (centre) by Mr G. Durand, Standard Motors Branch of the British Legion President. Mr R Totterdell, Branch Secretary, is second from the left in the group.